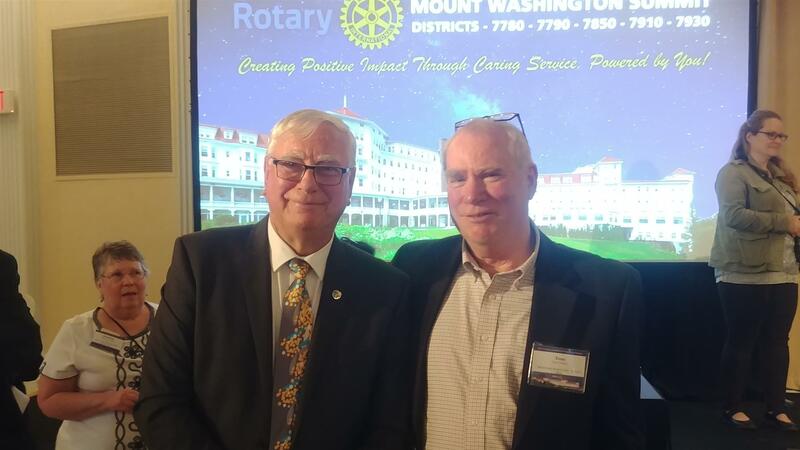 Ian Riseley, 2018 RI President from the Rotary Club of Sandringham, Victoria, in Australia finally was able to meet Middlebury's 2017-2018 President Tom at the District Summit earlier this month. "I've been looking forward to meeting Tom for some time," said Ian reportedly. "What a decent chap. And such a good accountant!"